Gallimore coupon dropper equipment can insert coupons, tattoos, prizes, booklets, recipes, game pieces, et cetera made of paper, film, foil, clear, and metalized wrapping. Gallimore's bandolier-style coupon droppers can feed thousands of inserts automatically without human interaction. Our coupon droppers include intelligent automation, easy setup, carefree operation, flexible installation, and are built to last. 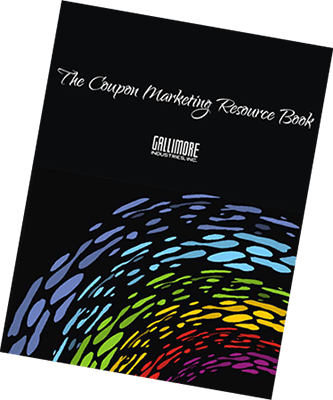 See Gallimore coupon droppers in action (video), and get complete bandolier-style coupon dropper specifications. Gallimore's cut-and-stack coupon droppers offer interchangeable conveyors with vertical, horizontal, angled, or reverse angle feeding systems. Put different inserts in the same package! 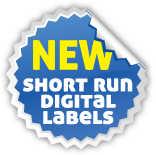 See Gallimore coupon droppers in action (video), and get complete cut-and-stack coupon dropper specifications. When you choose Gallimore, you gain access to our in-house prepress, multiple high speed web presses, folding, die cutting, wrapping, warehousing, and distribution departments. Gallimore's AIB (American Institute of Baking) certification ensures the insert materials we use are traceable and provides a clean environment. And our decades of experience will help you meet FDA and USDA regulations, avoid recalls, and produce reliable inserts best suited for your product. Gallimore's high speed web presses produce colorful promotions supplied in trays or bandoliers for easy handling and loading in our various inserter models. What Are "Instant Redemption Coupons" (IRC)? How Do Coupons Help Marketers Sell More Product?